WPlus9 has this gorgeous Woodland Wreaths stamp set that I ordered a couple of months ago. I actually had to find it from a seller on Etsy because it was sold out on their site as well as on Simon Says Stamp. 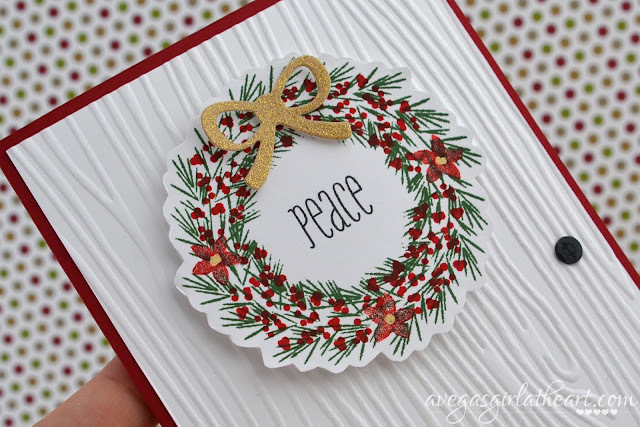 Something about the idea of stamping layers of the wreath in different colors got me really excited. I anticipate using this stamp often in my holiday card making. For the wreath, I first stamped the greenery with Stampin' Up! Garden Green ink. Then I went in with Real Red for the berries and the flowers. I colored the centers with a Gelly Roll Metallic gold pen. 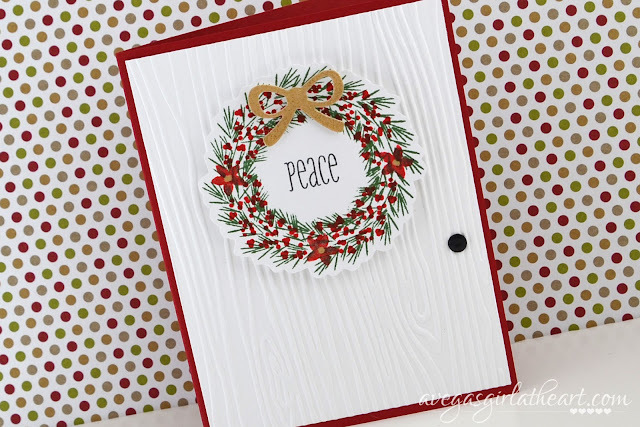 I stamped "peace" in the center using Memento Tuxedo Black ink, and then hand cut the wreath. (There is a matching die but I don't have it). Finally I die cut a bow with glitter card stock (DCWV) and the bow die from the Dear Lizzy Daydreamer die set. I also added a touch of glitter to the flowers with a Wink of Stella brush pen. 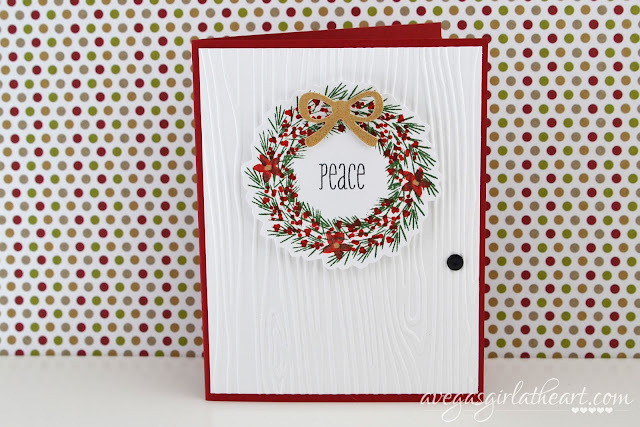 I embossed a piece of white card stock with the Stampin' Up! Woodgrain folder so that the wreath appeared to be sitting on a door. I punched out a little black circle and used Glossy Accents to make a doorknob. 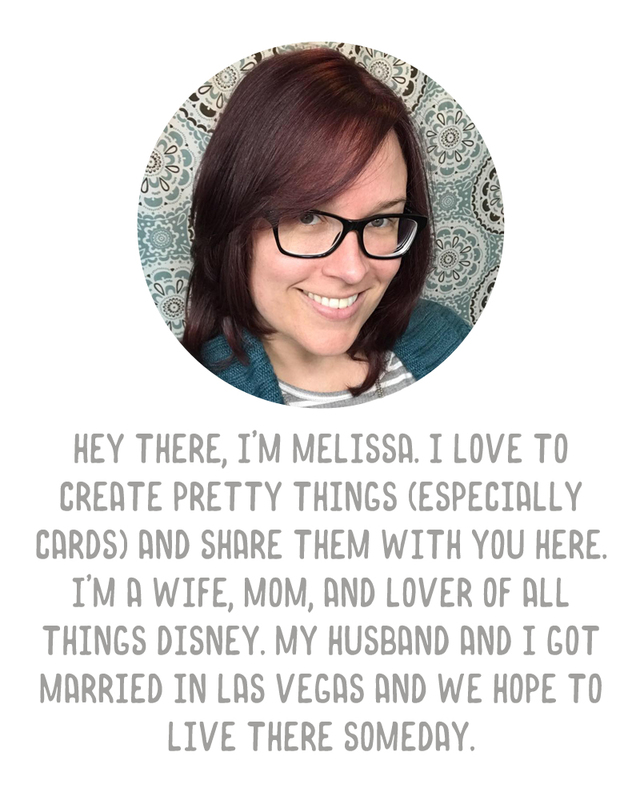 My card base is red card stock (not sure of the brand). I just love this holiday set and I can't wait to make more cards with it, now that Christmas is just around the corner!